If you are one of those few people who adore their iPhone and can’t bare to move to another mobile OS, but secretly find yourself jealous of those Android owners who have that awesome option of drawing a pattern on their device each time they want to unlock it, then worry no more as the jailbreak development community has been looking out for you. 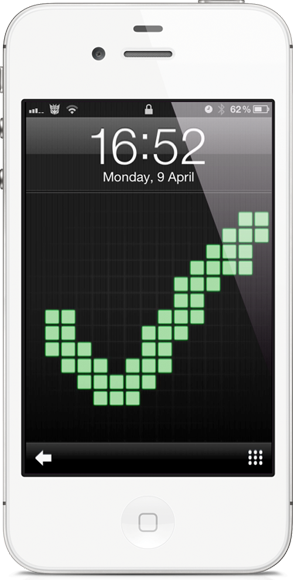 One of the latest tweaks to land on the Cydia store comes in the form of Stride, which extends the manner in which users can unlock their jailbroken iPhones and iPod touches, by introducing the ability to set a custom pattern that needs to be drawn every time the device can be unlocked. I know what you might be thinking, how does this differ from the Android Unlock tweak that has been doing the rounds in Cydia for quite some time? Well, Stride can be thought of in the same way as that tweak, but with a lot more power packaged into something a lot more professional and polished. To me, Stride feels like a beautiful hybrid of the Draw Something app and the Android Unlock tweak, all mixed together in a very well polished iOS package. The native password limitations are bypassed with Stride, meaning that users can enter their own crazy pattern which only they can replicate in order to unlock the device. 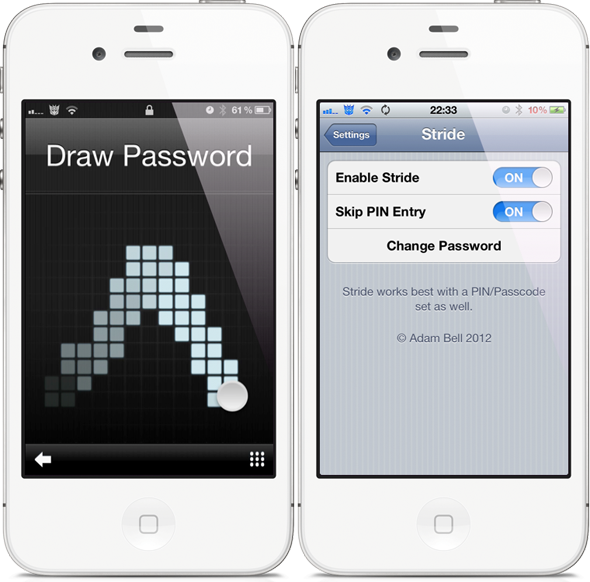 Stride is available on the BigBoss repository at a cost of $2.99 and requires an iPhone or iPod touch running iOS 5.0 or above.